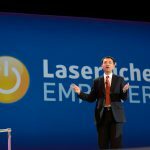 Featuring a business automation module that is built on Windows Workflow Foundation engine, Laserfiche 8 helps organizations streamline business processes. Features include interoperability with Office applications, including SharePoint, which helps organizations unify content that is currently stored in disparate systems and formats. System architecture simplifies firewall configuration and allows use over wide area networks.